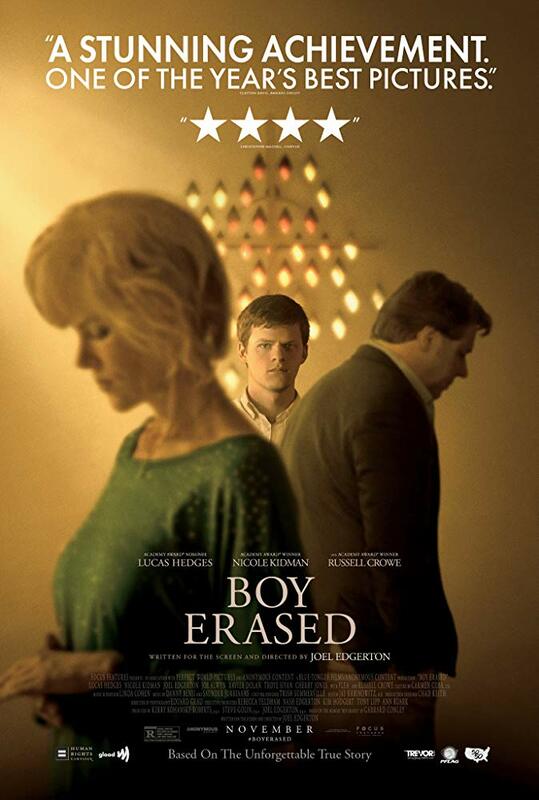 With Boy Erased Edgerton delivers a drama all the more emotional when you think that it is based on true events. What I liked about the film was its careful balance. It probed the terrible actions that take place in conversion camps, but it did so in a way that avoided making accusations. Rather, it considered what had led the parents to send their son to such a place, and what might make them change their views. All the leads delivered excellent performances, and the story kept me on the edge of my seat throughout, as I waited to see how things would conclude. There are some confronting moments. Is that enough to require an R rating? I was a bit on the fence about that. It left me wondering if it would have gotten away with an MA-15+ had it not been LGBT. But who knows? Overall, though, this is an excellent drama and well worth a watch.